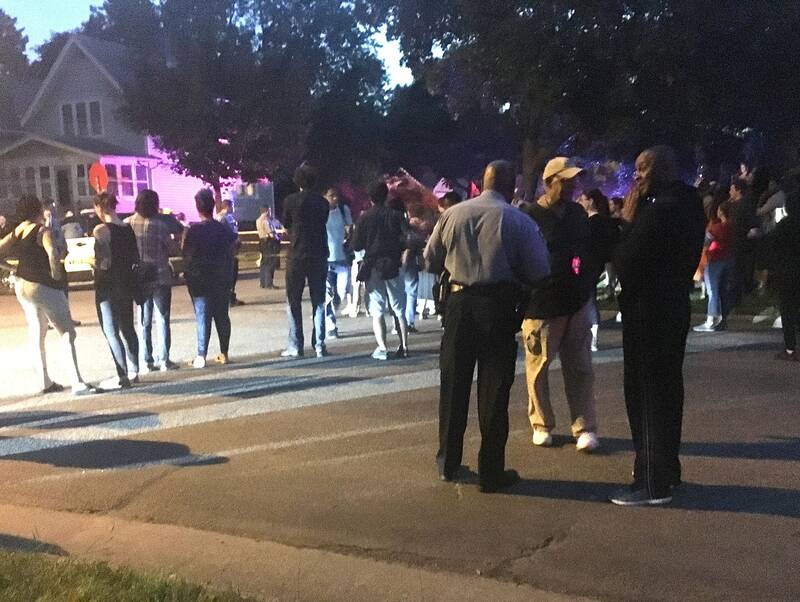 Updated: June 24, 11:45 a.m. | Posted: June 23, 8:05 p.m.
A north Minneapolis neighborhood was enveloped in anger, frustration and mourning Saturday night after a man was fatally shot by Minneapolis police. Authorities said the man was armed. Some at the scene disputed that. And once again, the city was left searching for answers in the wake of a shooting involving police. Several protests and vigils were set to take place in Minneapolis on Sunday. 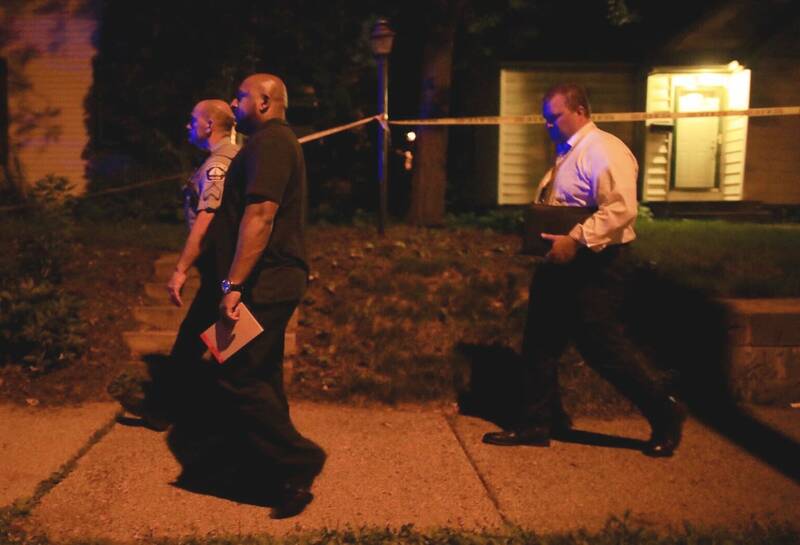 The man was identified by the Minneapolis NAACP and relatives at the scene as 31-year-old Thurman Blevins. 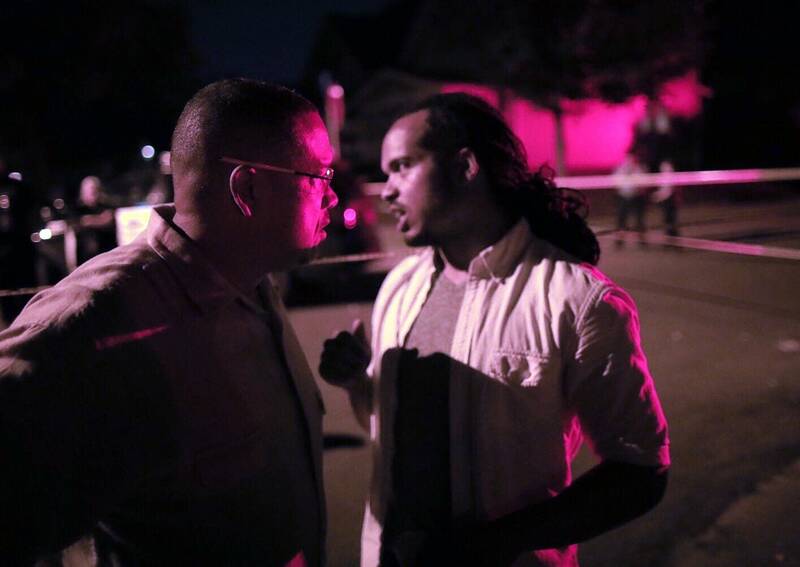 Minneapolis police have asked the Minnesota Bureau of Criminal Apprehension to investigate. 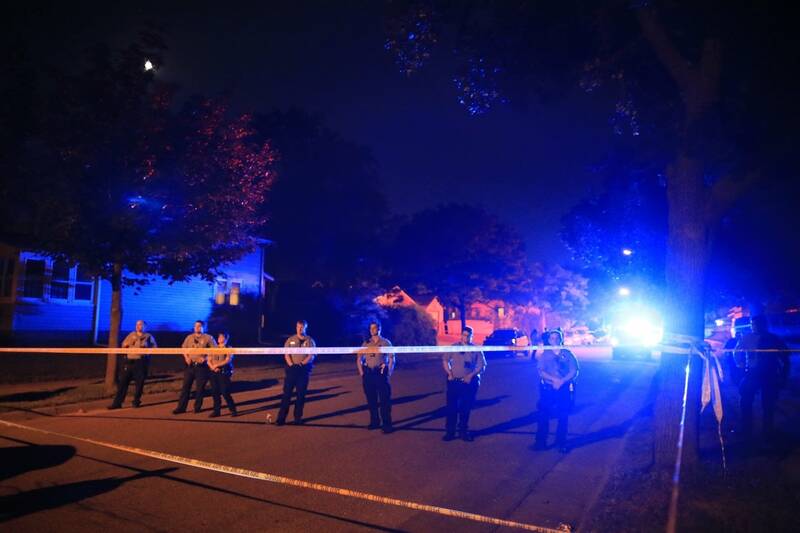 Minneapolis Mayor Jacob Frey said Saturday that the officers involved in the shooting were wearing body cameras that were activated at the time. At a late-night news conference, he and Police Chief Medaria Arradondo stressed that there would be transparency to the investigation. That's something the NAACP called for in a Facebook post, along with the release of the body-camera footage. 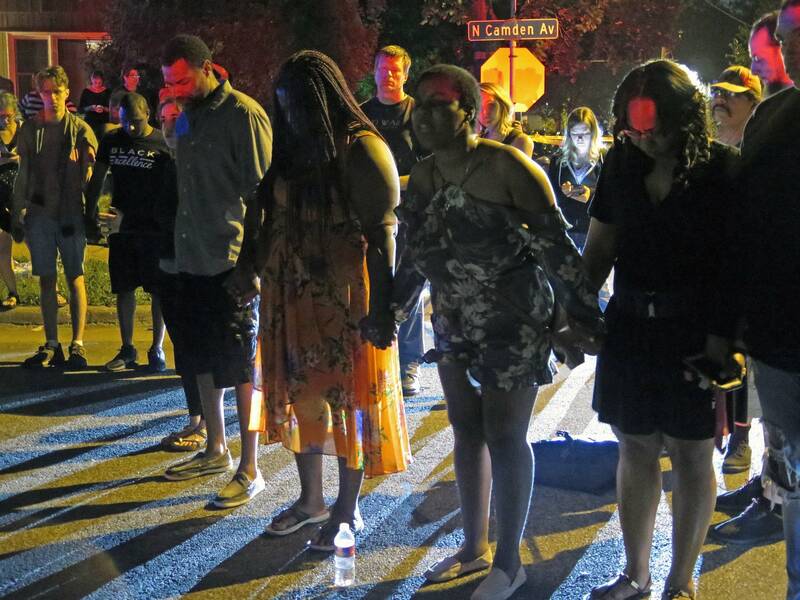 "Honestly, I don't know what's going through the community's minds, but I do know that we continue to be traumatized one time after another," said Minneapolis NAACP President Leslie Badue, as a crowd gathered at an intersection near the shooting scene. "It's extremely unfortunate, and we just want answers." 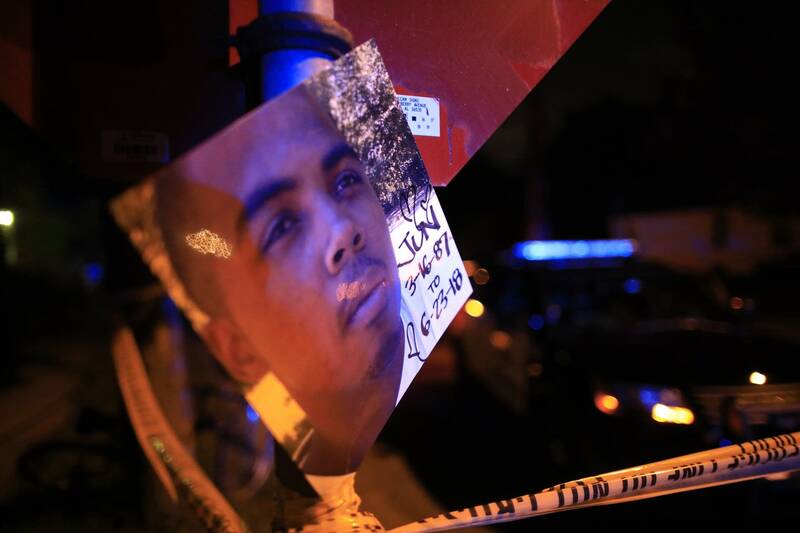 Police conduct has been a focus of intense debate in Minneapolis, particularly following the fatal shootings of Jamar Clark in 2015 and Justine Ruszczyk last July. It's something Frey acknowledged when speaking late Saturday. "The strained relations between law enforcement and the communities they serve, especially communities of color, have exacted a toll on the very soul of our city, of our state, and of our nation," he said. 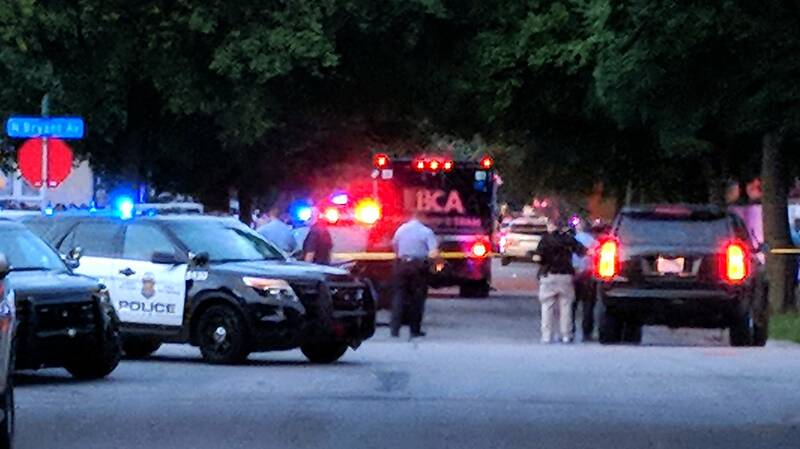 Minneapolis police reported that the shooting happened at about 5:30 p.m. in the vicinity of the 4700 block of Bryant Avenue North. According to police, two 911 callers reported seeing a man walking in the area and shooting a handgun. One caller reported that the man was shooting the gun into the air and at the ground, and gave what police said was a "very detailed description" of the man and his clothing. The police department said arriving officers located the man, and a foot chase took place that ended in shots being fired. The initial police statement did not indicate whether the man fired at officers, and did not say how many officers were involved. The man was pronounced dead at the scene. No one else was injured. The BCA had not issued any additional information on the shooting as of 11:45 a.m. Sunday. 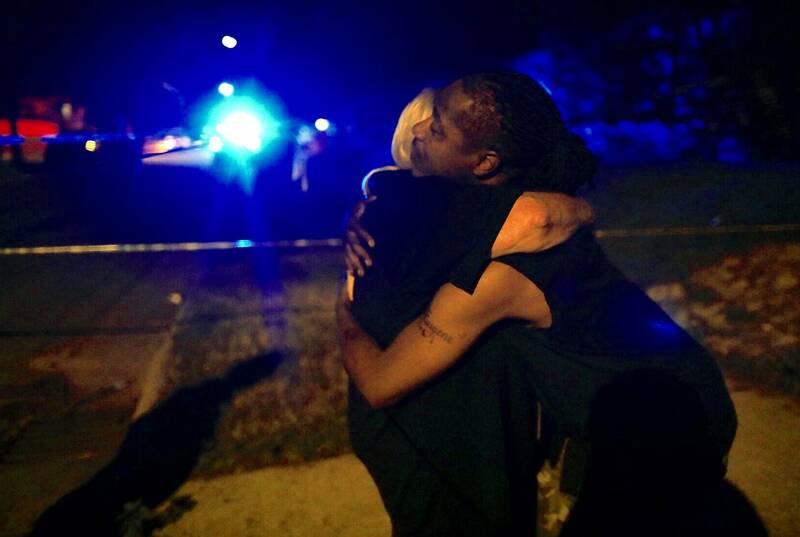 A crowd of relatives, neighbors, community activists and others grew through the evening at the corner of 48th Avenue North and Camden Avenue, near the cordoned-off scene of the shooting. Some in the crowd shouted insults and taunts to rows of officers standing inside a line of police tape. The crowd gradually thinned and dispersed as the night wore on. Activist Nekima Levy-Pounds addressed the crowd as they held hands at about 11 p.m.
"We pray right now that you will rattle and shake the officers who were involved in this, that they will not have peace in the name of Jesus, that their families will not have peace in the name of Jesus, that their partners will not have peace in the name of Jesus, that the Fourth Precinct police station and everybody working out of there will not have peace," she said. Family members and nearby residents disputed the police account of the shooting, and said Blevins was unarmed when he was shot, although none of them claimed to have actually witnessed the shooting. One witness, James Lark, said he saw two officers show up in a police vehicle and confront a man sitting on the curb along 48th Avenue with a woman and a baby in a stroller. Lark said the man was holding a cup, and that it looked like he had been drinking. Lark said police drew their guns immediately, and that he didn't see the man make any threatening movements. "He stood up and said, 'Hey.' And the next thing I know, I heard a pop. The lady said they tased him. 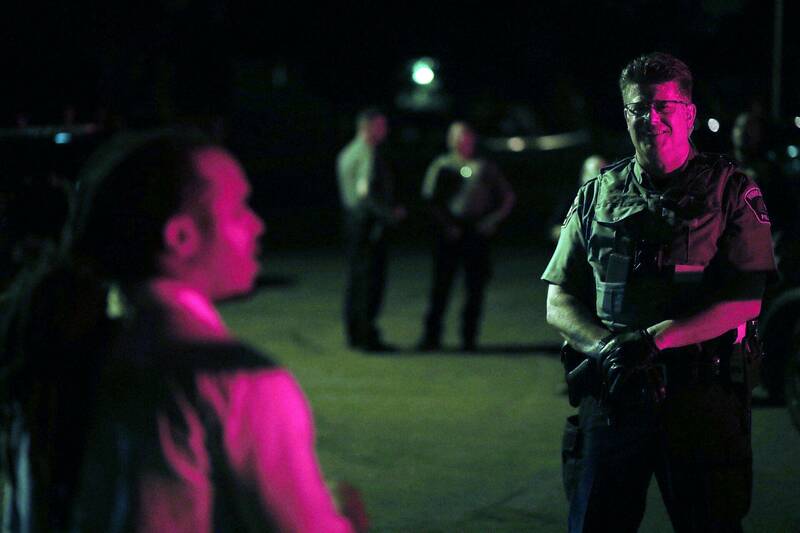 I said they shot him. And broke out the runnin.' And that's when I heard 7-8-9 more shots," Lark said. Late Saturday night, Frey released a statement saying that "no matter what transpired in the moments leading up to the shooting, we know with certainty that the outcome is a tragedy. To everyone hurting tonight: I'm sorry." 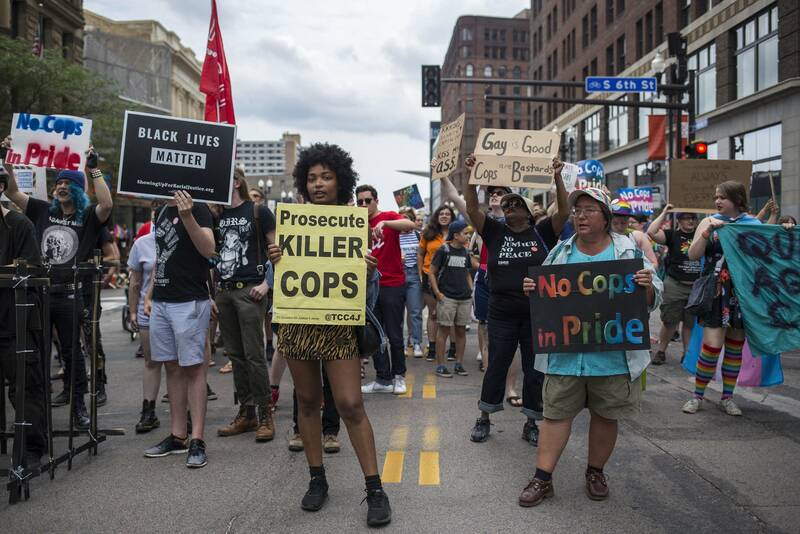 A previously planned protest against Minneapolis police took place Sunday morning at the start of the Twin Cities Pride parade in downtown Minneapolis; those involved had wanted no police officers to be on hand for the event. They carried signs that read, "No cops in Pride" and "Police out of Pride." The Minneapolis NAACP has called for a rally at 3 p.m. Sunday at the 4th Precinct headquarters of the Minneapolis Police Department, located on Plymouth Avenue. 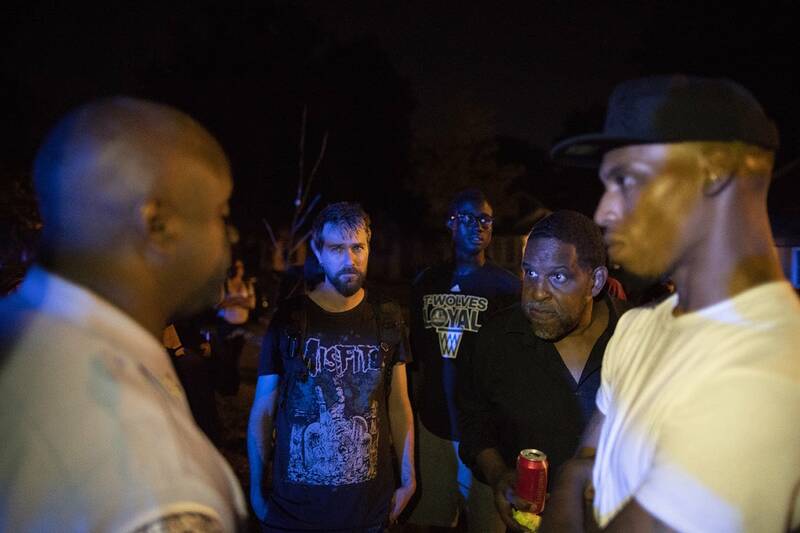 That was the scene of an angry confrontation with police following the death of Jamar Clark in 2015. Other activists are organizing a vigil and remembrance on behalf of Blevins' family. That's scheduled for 7:30 p.m. Sunday at the corner of 48th and Camden avenues North, just a few blocks from the shooting scene.